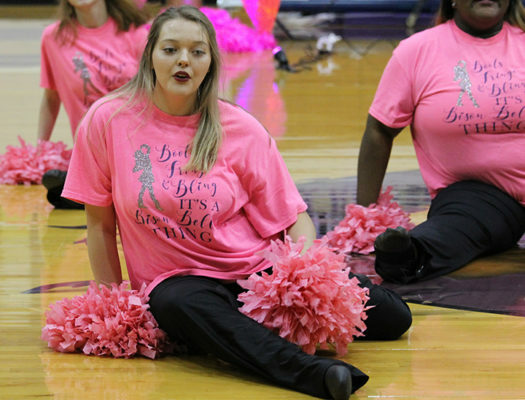 Sophomore Mollie Doss dances with the Belles at the Pink Out Pep Rally. Undisturbed and light-hearted, Molli Doss is in her second year of high school and she is “directing” her future towards a career behind the camera. Doss is involved in art as well as being a member of the Bison Belles and an FCCLA participant. She spends the majority of her free time watching Netflix and reading. She’s described as inventive and curious by her friends and classmates. Her plans after high school include attending a junior college and later transferring into a university to study film making.